Excel Enclosures Welcome to Excel Enclosures, manufacturer and exporter of enclosures. Established in 2002, we have in-house design unit with CAD CAM facilities and undergo technological up gradation regularly to keep ourselves updated. Team of expert professionals, standardized & customized product have helped us to gain present repute in the market. The product range consists of control panels, cabinets, enclosure accessories and IP protection chart. Under control panels and cabinet enclosures, we offer a range of enclosures which are used for varied purpose. We offer quality Enclosures that are appreciated for features such as sturdy construction and durability. Our enclosure accessories are manufactured using high-grade CRCA Sheets. We offer wide variety of gasket and filter grill kits. Lastly, our range of drawing pockets and lifting provisions are made using high quality CR Sheets. Incepted in the year 2002, Excel Enclosures is an ISO 9000:2000 company, engaged in manufacturing of qualitative Enclosures. Our products are appreciated for their modularity, reliability, robust construction and better aesthetic value. Our Enclosures are designed to suit the specific industrial requirement of the clients. Our range includes Drive panels, PLC panels, SPM enclosures, Automation enclosures, CNC enclosures, CNC pendants, swiveling arms, SPMâ€™s, Data Racks, UPS / Stabilizers enclosures, Control Desks, Control room consoles, PC enclosures, PC tables, printer tables, Operator stations, mimic enclosures, synchronizing panels, MCC/PCC power distribution panels along with some electromechanical applications like pneumatic panels, enclosures for transformer oil cooling & tap changer system. We consider quality as an integral part of our organization and have set up a streamlined excellence management system to ensure quality in all our processes and range of enclosures. In order to cater ever-increasing demands of our clients, we have robust manufacturing unit aided with latest CNC machineries that help us in offering quality enclosures at the faster pace. Today, we have been able to acquire more than 150 reputed clients across India including many multinational companies. 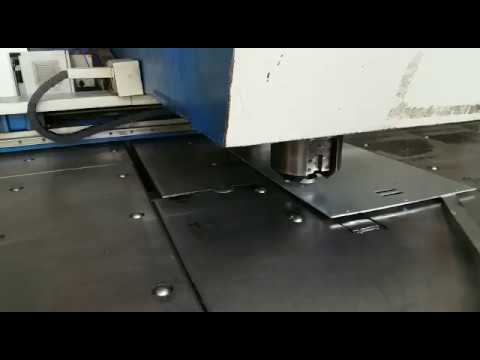 Since our inception, we are offering Metal Enclosures, Sheet Metal Enclosures, Industrial Metal Enclosures, Electrical Metal Enclosures, CNC Pendant -Model 11 / Swivelling Joint, Lifting Provisions, Hinges & Angles, Channels, Drawing Pocket & Wall / Plates / Members Mounting Brackets, Casters / Canopy and CNC Pendent - Model - II / Swivelling Pendent. In addition top these, we also offer Control Desk in Combination/Door inside Door, Single & 3 Piece Control Desk, Welded Body Design (Wall Mountable - WM), Modular Closed Side Design (MCS) and Modular Frame Structure. Further, we also offer effective after-sale services such as installation, modification, corrective and preventive maintenance for our range of Enclosures.